Spinoff Technology Benefit Society (Credits: NASA). NASA has published a public service announcement from rap Artist Will.i.am to increase awareness about technologies originally developed to solve space related problems that have now been adapted to support daily activities on Earth. Many innovative technologies that we use today where originally developed by NASA to solve some challenge in space exploration. By developing programs for space exploration, NASA faces any kind of problem, and the solution developed often helps already existing problems here on Earth. Since 1976 NASA has published the “Technology Utilization Program Report,” targeted at private sector corporate managers, academics, developers, media, and the general public. In the 36 years since its inception, over 1,750 stories have been published in this report relating successful spinoff applications. 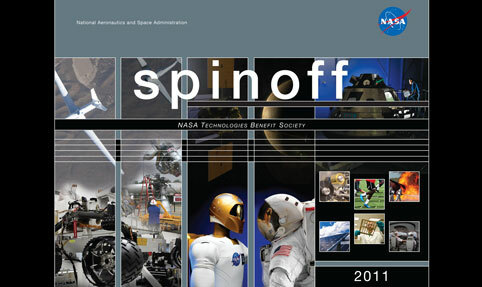 NASA’s spinoff publication is made to accomplish several goals, like informing the media and general public about the developments and benefits of space exploration for the taxpayer, or to support space exploration, demonstrating how aerospace technology can be also used in different contexts. With solutions ranging from purifying water for communities that don’t have the possibility to have clean and potable water in the first place, to keeping medicines at the right temperature during transportation and storage using solar energy, spinoff technology impacts daily life on Earth as well as in space. Thanks to performing artists like Will.i.am, Norah Jones, characters from the movie “Arthur Chrismas,” and astronauts like Piers Sellers, NASA is showing a broader audience the importance of developing spinoff technology from space research.